- What is web design? 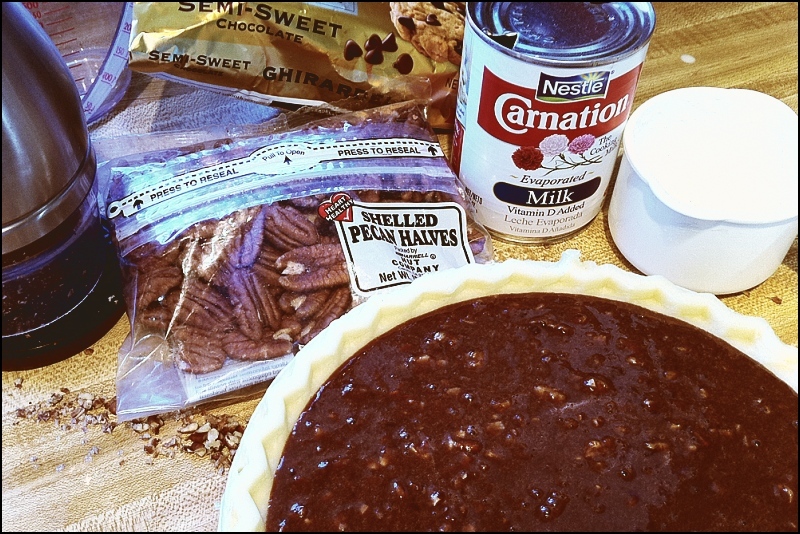 You want to make a pecan pie but you know your guests aren’t into sticky-sweet pies? Then consider this variation. In small saucepan, combine evaporate milk, butter and chocolate chips over low heat. Stir constantly until chocolate is melted. Remove pan from heat. In mixing bowl, combine remaining ingredients; stir until well blended. Add chocolate mixture. Stir well. Pour into pie shell. Bake at 375 for 40-45 minutes, just until filling is soft only in the center when the pie is gently shaken. Cool completely on wire rack.